A limousine for up to 10 passengers! 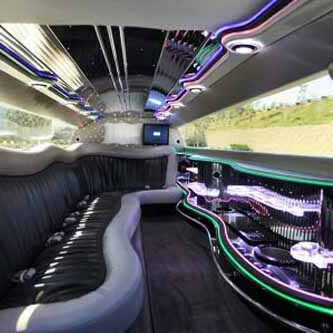 A one-of-a-kind limousine for up to 12 passengers! A limousine for up to 22 passengers! A luxury party bus for up to 34 passengers! 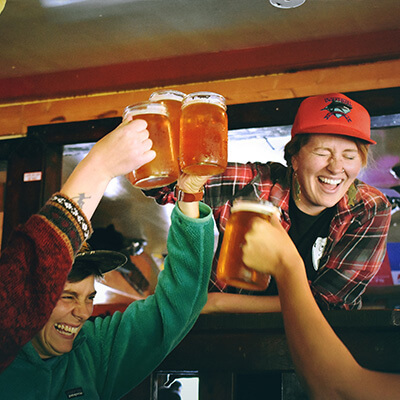 Whether you are visiting Seattle for the very first time, or whether you have lived here all your life, there are always plenty of things to do and see in the area, and there's no better way to see them than with Party Bus Seattle. Our company has been in business for years, providing our customers with the smoothest ride and the highest quality service of any limo rental company in the area. We look forward to providing you with that same level of high quality service today! Whether you require all-day and all-night travel service, or simply pick up and drop off service that makes a big impression, Seattle Limos can provide that for you and so much more. We have a large fleet of exquisitely maintained vehicles that are just waiting for you to come down and take a a look at them! Or we can choose the best one for you over the phone, it's up to you. A quick credit card deposit is all that's needed to reserve a luxury vehicle on the date for your next big event! We suggest that you browse through our website and learn more about our vehicles, the types of events that we service, and the area that our limo service covers. Also be sure to take a look at the frequently asked questions in case we have already answered your questions there! Once you have familiarized yourself with our company, you can give us a quick and simple call to discuss booking your trip. We look forward to hearing from you when you are ready to book your limo! If we can't help you then try one of our many affiliates. We can recommend NJ Party Bus and NYC Charter Bus on the east coast. In Canada give Windsor Limousine a try. 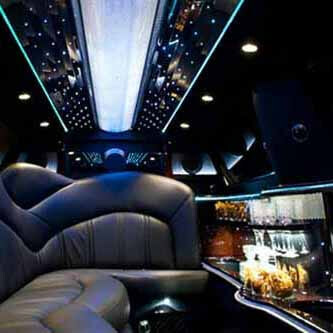 For anytime you find yourself out in the city of Portland try LimousinePortland.com. There are so many amazing places to visit in and around Seattle and we will take you to all of them. Are you in Bellevue looking to go to The Paramount Theatre? We've got you covered. Living in Everett and want to go see hockey, soccer, or any other events at ShoWare Center? We will take you. Pickup in Tacoma to head out to Puyallup Fair? Of course. Perhaps you're located in Lakewood and need transportation to White River Amphitheater? We can handle your needs. 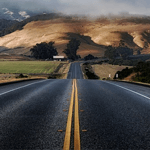 If you are just visiting the area and are looking for good way to do some sightseeing with your travel companions, we are here for you as well. Book with us for an attraction tour. Pike Place Market, Space Needle, Olympic Sculpture Park, Museum of History & Industry, Downtown Waterfront, Seattle Art Museum, Chinatown District, Boeing Tour, and the Museum of Pop Culture. There are high quality sound systems and speakers in all of our limos so you can enjoy your music, podcasts, and more. Just bring CDs or plug-in your iPod! The plush and cozy handmade leather wraparound seating really makes all the difference on those long trips, built in cup holders included. Built-in bars with integrated ice filled coolers for mixing drinks, as well as dark limo tinted windows for the utmost of privacy! We service absolutely any occasion, day or night, important milestone or just blowing off steam with friends. We are here where ever the party may take you. Whatever you want to celebrate, we can provide you with the best service in the industry with the experience you require! Our elegant, classy limousines are perfect for weddings! Celebrate and travel in VIP fashion on your night! Drink, enjoy, and travel safely with our company! Take the stress out of event travel and let us take you! There is never a shortage of great events to enjoy in the Sea-Tac area. 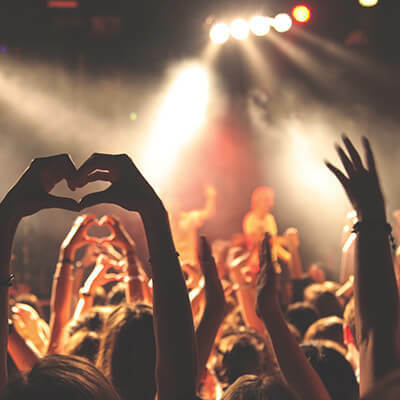 Especially when it comes to festival season, we have some of the best festivals in the country the most popular of course being Bumbershoot held at the Seattle Center, but also Hempfest, PAX, Emerald City ComiCon, Sasquatch Fest, Upstream Music Festival, Pride Festival, & many more. Book your limo well in advance of these popular events. Seattle's most luxurious, most reliable, and most affordable limousines! We provide high quality service in luxurious vehicles in Seattle and the surrounding areas. Our vehicles are top-of-the-line luxury! 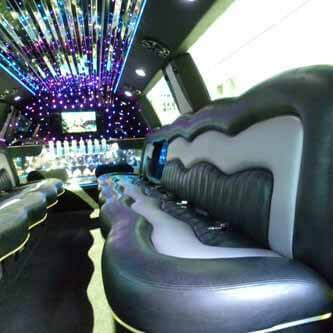 Each of our amazing limousines and limo buses has a fully custom interior with amazing features. Visit our vehicles page to learn more! We proudly service all of Washington, including King County, Snohomish County, Chelan County, Kittitas County, Pierce County, Kitsap County, and more!